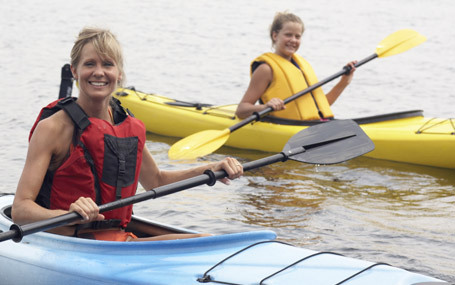 A PFD helps keep you keep afloat and offers upper body protection against obstacles both above and below the water’s surface. The Freetime is extremely easy to get in and out of quickly thanks to the extra wide toothed zipper, while the contoured shape with side and waist adjustments mean this PFD can be fitted perfectly, making it comfortable and secure. 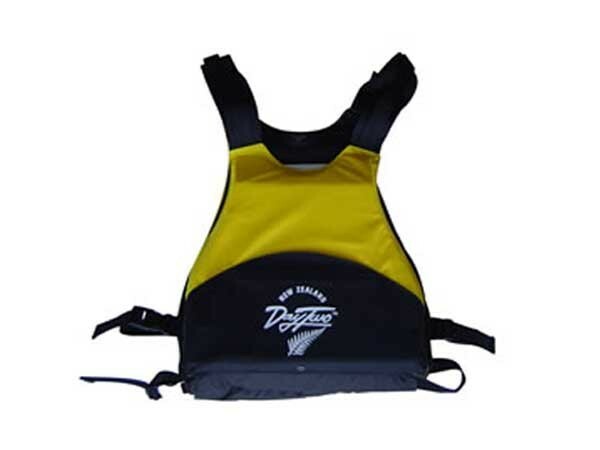 This simple and uncomplicated PFD is perfect for beginner paddlers and comes with reflective patches on the front to ensure high visibility. A versatile starter buoyancy vest with five way adjustments to fit children and adults. Fantastic for waka ama, sit on tops, stand up paddling and general use. More than 55N of floatation (industry standard) made from very soft and comfortable foam. Large front pocket. Reflective tape on the rear. The vest utilises multiple side, front and shoulder adjusters for the ultimate fit and security while the front zip provides easy access. Features include deep zippered front pockets plus a multitude of departmentalised expanding cargo pockets with adjustable side release buckles for security. Lanyard attachment ring, integrated expanding back hydration and cargo pocket plus reflective tape and trims complete the jacket. No longer will female paddlers have to put up with ill-fitting PFDs. The Inspiration has been specifically designed to fit the female shape - bumps, curves and dip .Perfectly designed chest foam plates optimise flotation so you can be confident you will be safe, while the ergonomically designed shape and six adjustment points ensure a comfortable, secure fit. The Fishing is Mission’s fishing specific PFD and it has all of the storage space you could want. It’s got loads of other useful additions, like a knife holder and safety equipment to make sure that when you’re out fishing, you can take whatever you need in the quantity that you need it. If you need to get hold of any equipment in a hurry, it’ll be right there in front of you! This PFD is extremely comfortable with six adjustment points so when you’re out hauling in your next big catch you won’t even know it’s on! This PFD suits any fishing context: fly fishing, kayak fishing or even big game ocean fishing! The Quest has all the pockets and attachments you could want or need including a front pocket with key clip, iPod portal and 1.5L water bladder all standard. What else could you really need? Well, it also come with a D-ring attachment, lanyard and whistle with reflective patches and piping to make sure you stay safe on your next kayaking quest. These have a handle so you can pull them back on board. Measure the length of your dog from neck to top of tail to give an idea of the size you need. It is important that the jacket is not too long, dogs do not like them rubbing on the tail area.